The Challenge Handy Jog Tabletop Jogger with 11" x 17"/A3 Large Tray CMC-461A-LG saves time and money. 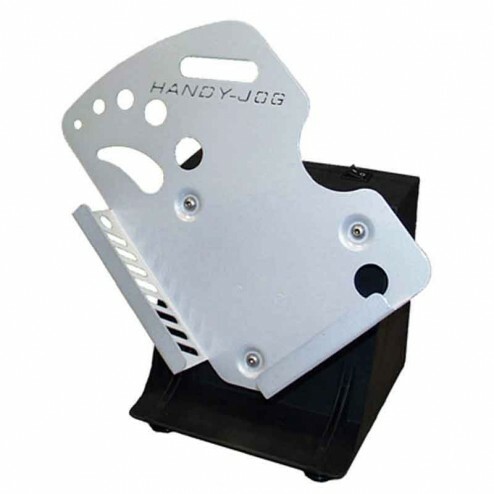 The Handy-Jog paper jogger is a perfect solution for those in need of a lot of power in their jogging procedures, who can benefit from a machine with a small footprint, and who need their jogger to run quietly due to location or spatial limitations. Dimensions (WxDxH): 18 3/16" x 13 15/16" x 17 1/8"